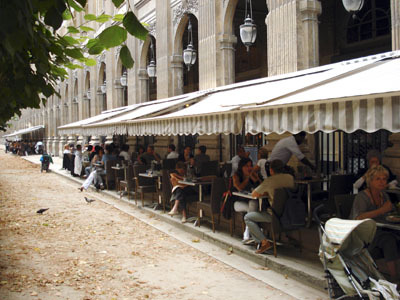 Muscade is located in the historical Palais Royal in the heart of Paris. While the decor is simple, the location is really exceptional. The restaurant is relatively comfortable. I would advise to get a table on the totally delightful terrace. The service was good but a bit slow. While my waiter made genuine efforts to please me, he was waiting on the kitchen (the place was full). 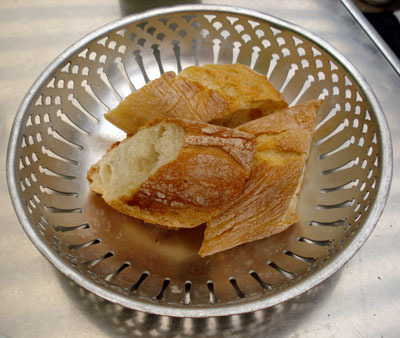 The bread, traditional French baguette, was tasty but a bit elastic. As main course I had the lamb tajine. 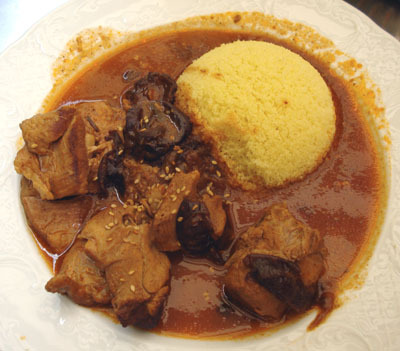 The lamb, served with couscous and dates, was nice and tasty. The meat was very tender but a bit cold. 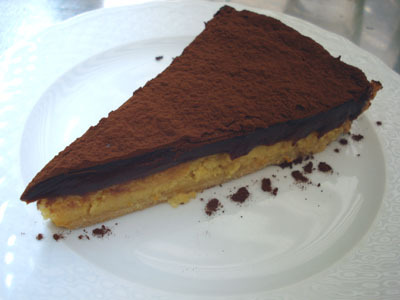 For desert, I had orange and chocolate tart. The tart, extremely soft and smooth, was exceptional. It had both a subtle orange flavor and a strong dark chocolate flavor. Around $45, including drinks (a glass of wine, sparkling water and coffee) and tip. 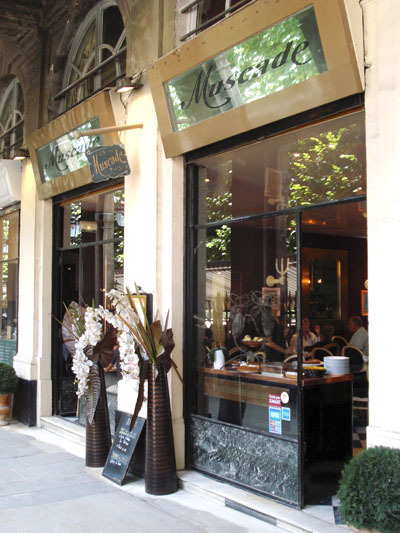 Considering the restaurant, the location, the food and the current exchange rate (close to 1.6 dollars for 1 euro at the moment), Muscade is definitely a good value for money. I will certainly come back.